Muar Ban Lee Group is a world-leading palm kernel expeller manufacturer specializing in palm oil machinery and oil seed crushing machinery. We provide "One Stop Service" in setting up Palm Kernel Crushing Plants from Plant Design and Fabrication to Installation and Commissionning. With our in-depth knowledge of the industry, our expertise and technical know-how, we have successfully completed hundreds of oil seed crushing plants for major plantations and oil mills throughout the world. With over 20 years of hands-on experience in the palm kernel expeller machines industry, an international presence in over 25 countries and an unblemished track record, MBL's excellent reputation constantly attracts enquiries from numerous new customers. However, MBL continues to enjoy the loyalty of existing customers by ensuring quality post-project maintenance and service. To continue maintaining a cutting edge in the industry MBL also works in tandem with oil mill consultants by sharing market and technical information. MBL invests in advanced technology to develop Copra Oil Expellers, EFB Composting machines, EFB Press, EFB Shredder, Jatropha Machines, Jatropha Oil Expellers, Jatropha Oil Seed Crushing Machinery, Empty Fruit Bunch Treatment Machinery, Instant Composting Machinery, Coconut Crushing Plants, Copra Machines, Oil Expellers, Oil Seeds Crushing Machinery, Palm Kernel Crushing Machines, Palm Kernel Expellers, Palm Kernel Machines, Palm Kernel Screw Press and more to match the growing demands of the Malaysian palm oil and oil seed extraction industry as well to the rest of the global palm oil industries. MBL is also an accomplished "design and build" contractor for palm oil mills and palm oil waste treatments plants with many successfully completed turnkey projects for the local and international palm oil industries. MBL, through its knowledge share with oil mill consultants, continues to develop technologies that are needed to streamline the wide-ranging processes involved in the palm kernel oil and oil seed extraction business. In essence, MBL is a "One Stop Service" for the oil seed extraction industry from the designing of Copra Oil Expellers, EFB Composting machines, EFB Press machines, EFB Shredders, Jatropha Machines, Jatropha, Jatropha Oil Seed Crushing Machines, Empty Fruit Bunch Treatment Machinery, Instant Composting Machinery, Coconut Crushing Plants, Copra Machines, Oil Expellers, Oil Seeds Crushing Machinery, Palm Kernel Crushing Machines, Palm Kernel Expellers, Palm Kernel Machines, Palm Kernel Screw Press to the fabrication, installation and commissioning of palm oil mills and EFB composting treatment plants. Through our in-depth knowledge of industry needs, our expertise and technical know-how, we have successfully completed turnkey oil seed plants for major plantations and oil mills around the globe. Customer care and service is another hallmark of MBL's business motto. 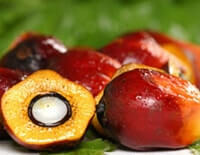 Our post project service and maintenance level is unmatched in the Malaysia palm oil industry. 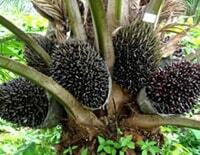 Our products are not only well received in Malaysia but we have also gained an excellent reputation in markets abroad to include Indonesia, Nigeria, Papua New Guinea, Mexico, Costa Rica, Columbia, Portugal, South Africa, India, the Solomon Islands, Belgium, Guatemala, the Philippines, Singapore, Sri Lanka, Tanzania, Thailand, Hong Kong, Vanuatu, the Ivory Coast, Netherlands, Cameroon, Gabon, Venezuela and the United States. 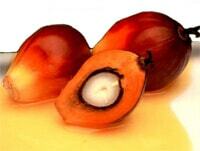 Empty Fruit Bunch (EFB) is the bio-waste of the palm oil milling process. 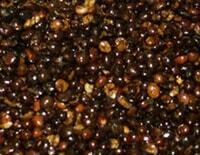 MBL provide the best and most efficient design in setting up complete Palm Kernel Crushing Plants. MBL has developed an efficient EFB processing technology which can be easily integrated into existing palm oil mill facilities. A breakthrough in POME waste water treatment technology which achieves up to 70% of oil recovery, and transform the sludge into fertilizer. At 60 to 70% CH4 can be utilized in both on-site and off-site application. Disclaimer: This website www.mbl.com solely belongs to MUAR BAN LEE GROUP (MBL). All contents of the website including portfolio, pictures and designs are the original work belonging to the owner of the website. The information on this Webpage server is provided to you "AS IS". Whilst we have endeavoured to ensure the correctness of the information disclosed, we make no guarantee, warranty or representation concerning the accuracy or completeness of the information contained herein. We shall not be liable for any direct, indirect, consequential or special loss or damages whatsoever arising from the access, use of any information contained in this site. No warranty of any kind, either express or implied, including fitness for a purpose is made in relation to the reliability, completeness or contents of the pages. Any form of copying, transmitting and reproduction of the above contents without written permission amounts to infringement or attempts at infringement which acts attract liability in civil and criminal proceedings.